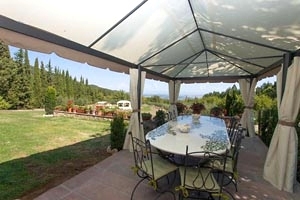 The villa is just a few kilometres from the thermal towns of Chianciano Terme and San Casciano dei Bagni, in Sienese Valdichiana. 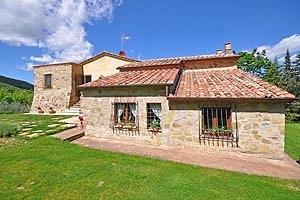 Valdichiana is a region in southern Tuscany that stretches in the provinces of Arezzo and Siena, and is renowned for its charming landscape, its picturesque villages, its nature reserves and its culinary specialities. 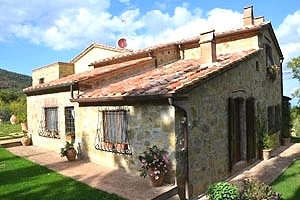 Many archaeological finds unearthed in the region demonstrate that Valdichiana, like many other areas in Tuscany, was already inhabited in Etruscan times. 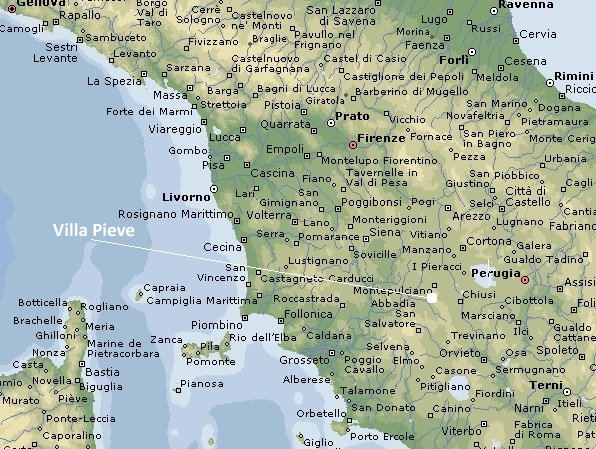 In the following centuries several bloody battles involving the armies of Siena, Arezzo, Florence and Perugia were fought in the region. 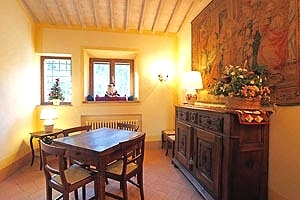 Nowadays Valdichiana is a favourite destination of art and culture lovers, those who want to spend their holidays in close contact to nature or want to dedicate to their well-being and those who love good cuisine, who have the opportunity to taste the excellent Chianina meat and the famous wines of Montepulciano. 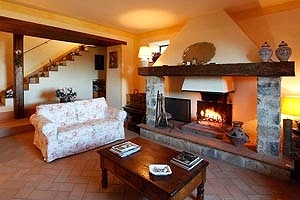 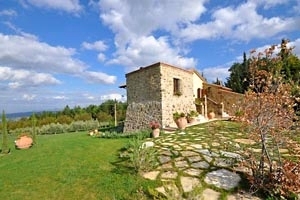 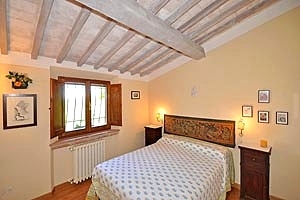 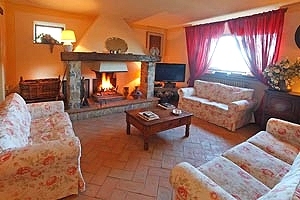 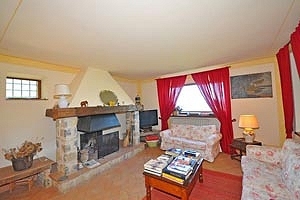 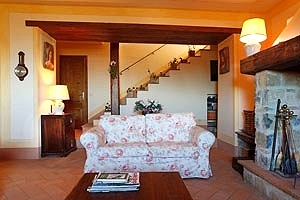 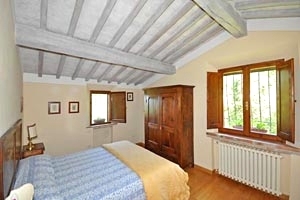 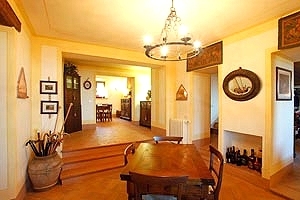 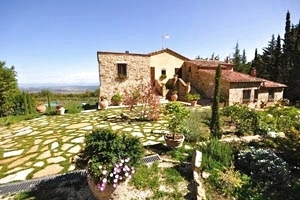 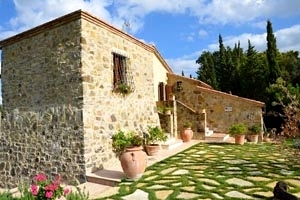 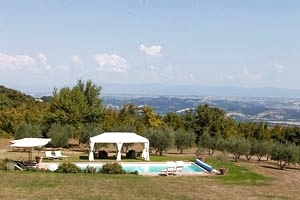 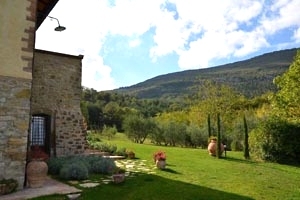 The villa is a recently renovated stone building that affords a magnificent view of the Tuscan hills. 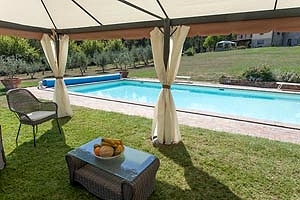 In the fully fenced two-hectare garden that surrounds the villa are the private swimming pool (15x7 m; depth: 1.20-2.50 m) exclusively reserved to guests, an external shower, two gazebos and the barbecue equipment. 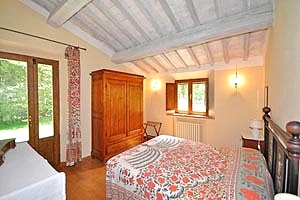 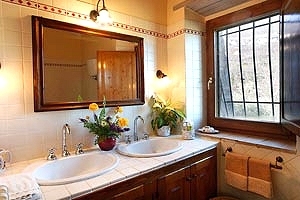 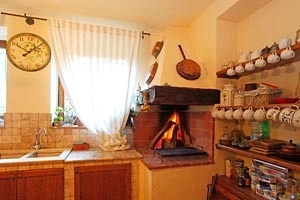 The rooms are furnished with good taste and feature some typical elements of the Tuscan rural architecture, such as terracotta-tiled floors and beamed ceilings. 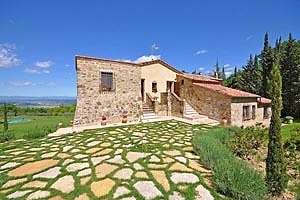 The thermal baths of Chianciano Terme and San Casciano dei Bagni, as well as many important Tuscan cities of art, including Montepulciano, Cortona, Pienza, Montalcino, the Abbey of Monte Oliveto Maggiore, Siena and Arezzo, are within short driving distance. 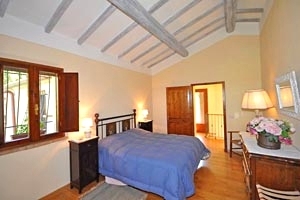 The two-storey building can accommodate 10 guests in 5 double bedrooms; it has 4 bathrooms and 1 half bathroom. 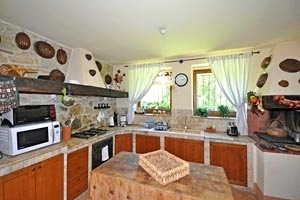 The ground floor composes of kitchen with fireplace, dining room, living room, a double bedroom with ensuite bathroom with shower and direct access to the garden, laundry room and a half bathroom. 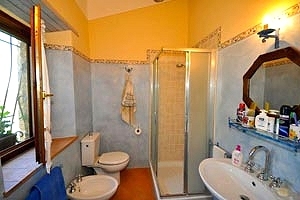 On the first floor are a double bedroom with ensuite bathroom with bathtub, three more double bedrooms and two bathrooms with shower. 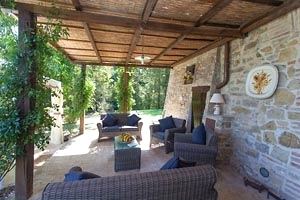 The villa comes with swimming pool, barbecue equipment, working fireplace, satellite TV, Internet connection, microwave oven, oven, freezer, toaster, American-style coffee maker, juicer, dishwasher, washing machine, cot bed and private car parking space. 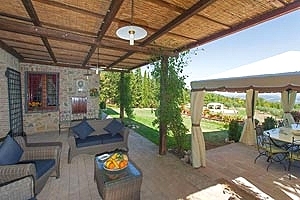 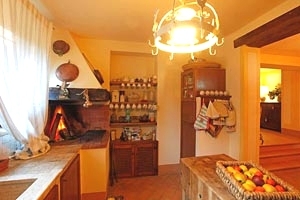 Tours of the nearby farms and dinners at the villa with traditional Valdichiana dishes are organised upon request. 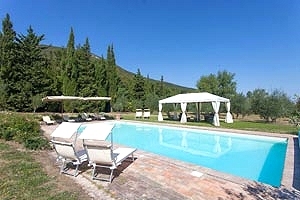 The thermal baths of San Casciano dei Bagni and Chianciano Terme are 7 and 18 kilometres from the estate, respectively.